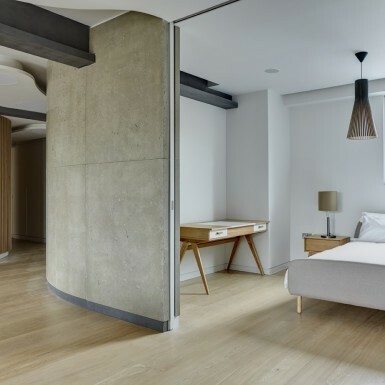 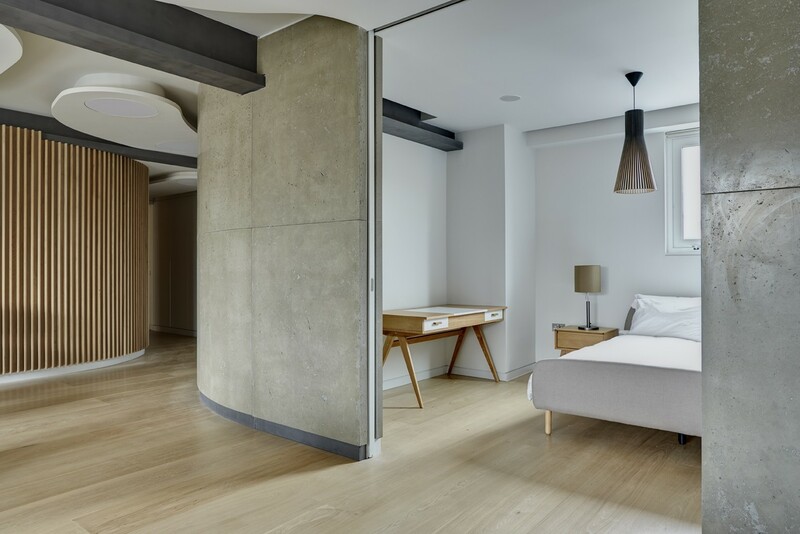 Located in the heart of Shoreditch, the Redchurch Loft is a mix of nine loft/warehouse-style apartments positioned enviably on Redchurch Street and Old Nichol Street. 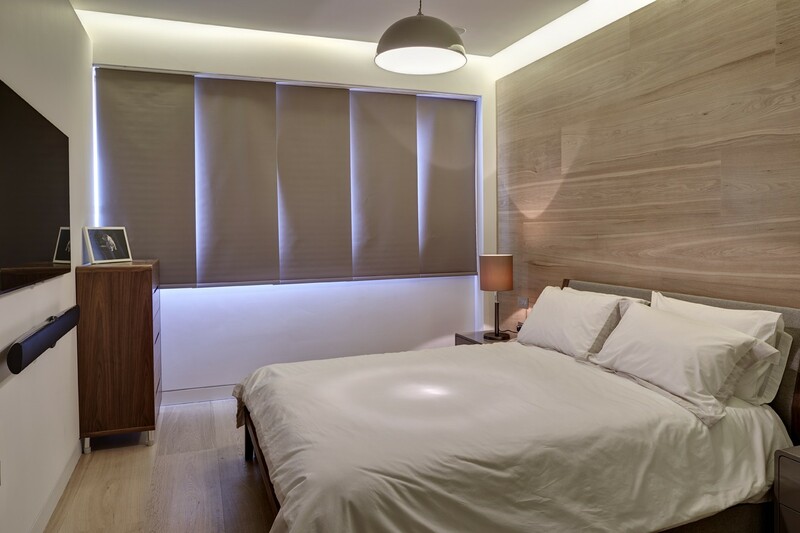 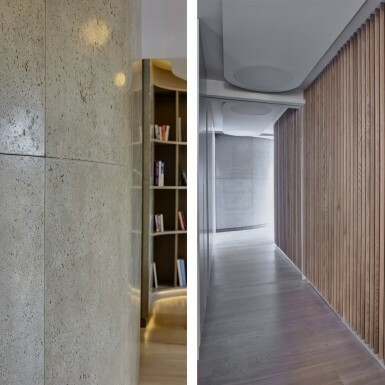 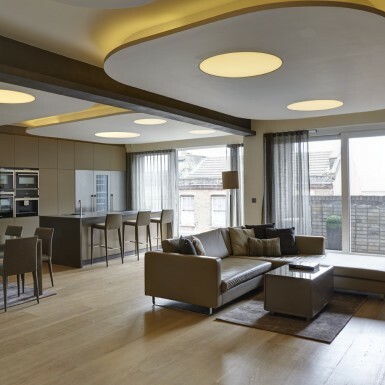 Studio Verve was commissioned to design the interiors of one of the largest apartments from shell in. 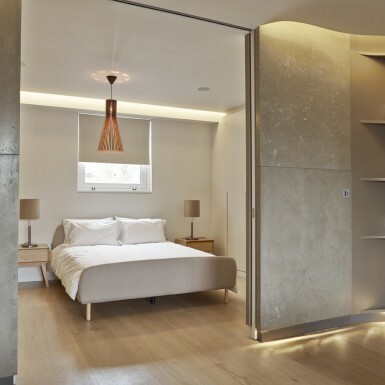 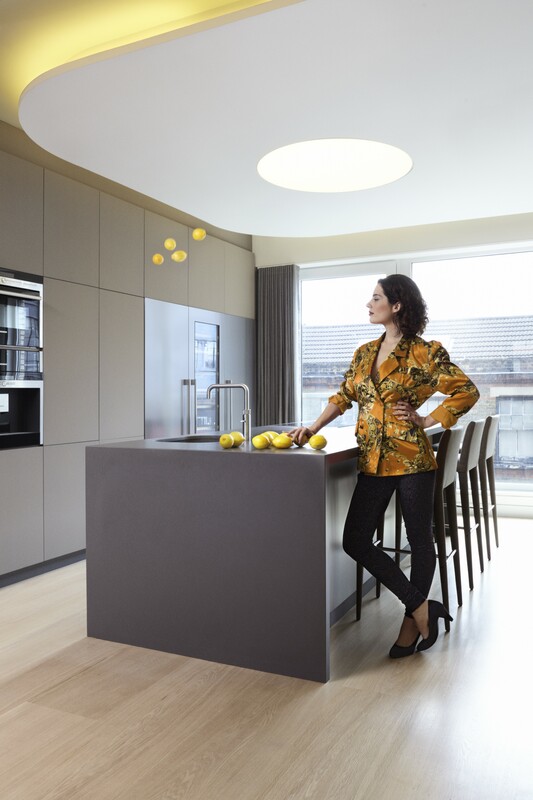 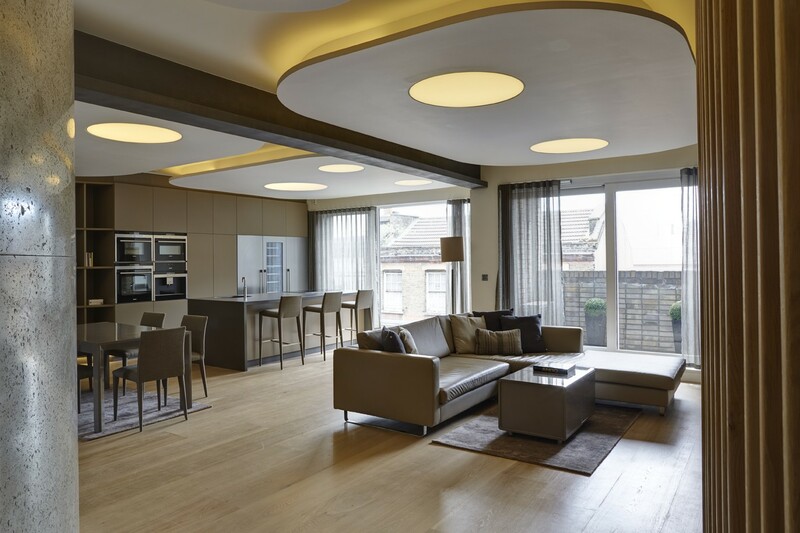 Conceived as a swirling fluid progression of spaces enclosed by a rich, yet subtle, palette of materials, a series of cloud ceilings culminate onto a spacious open-plan lounge and kitchen which open out onto the terrace overlooking Redchurch Street. 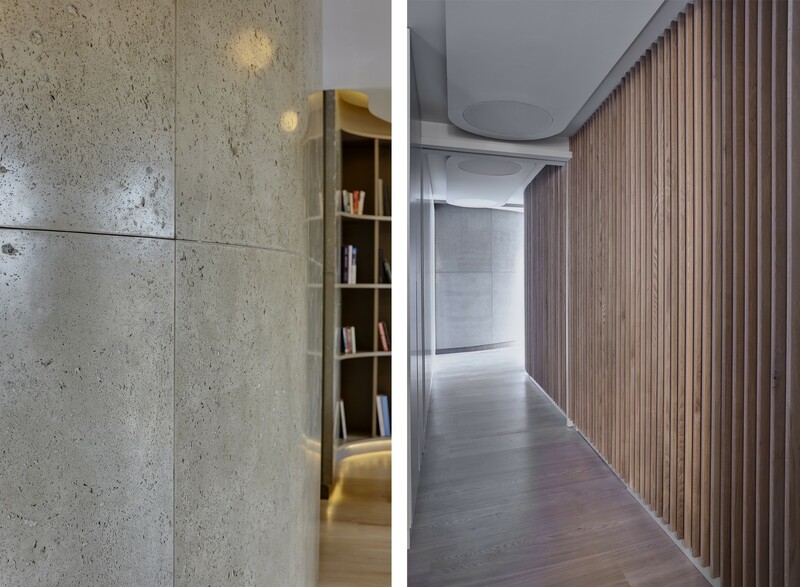 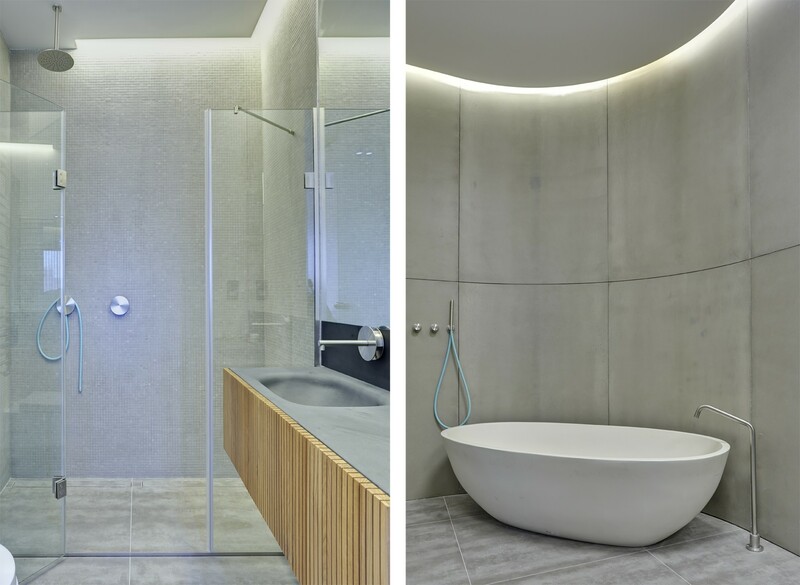 The sheer coldness and solidity of the bespoke pre-cast concrete wall panels contrast beautifully against the warmth of the white oak fin wall and floor cladding and the playful cloud ceilings and diffused pool of lights. 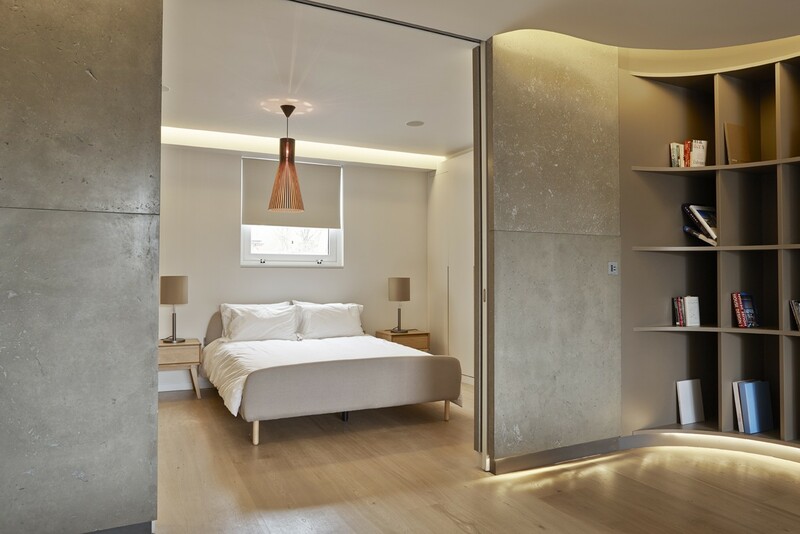 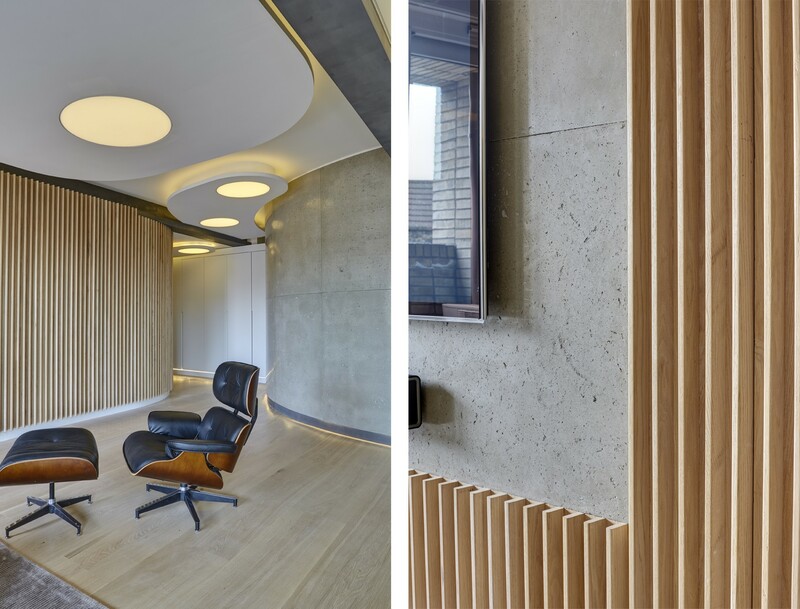 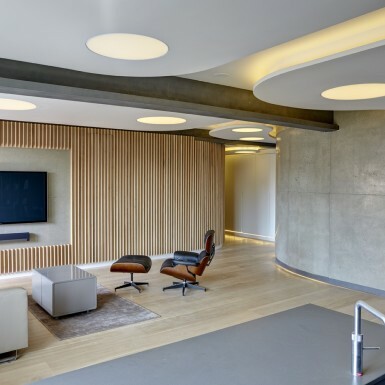 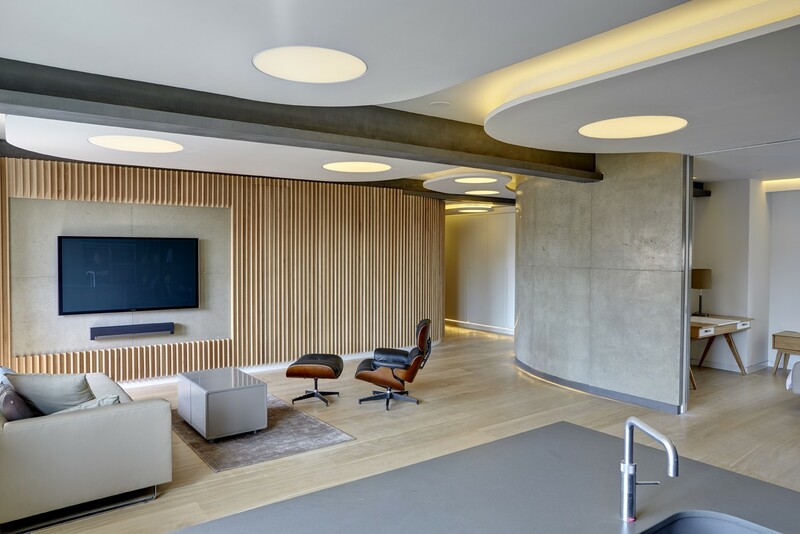 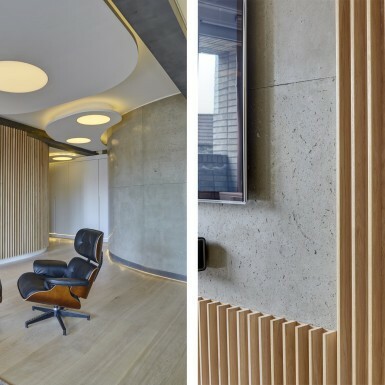 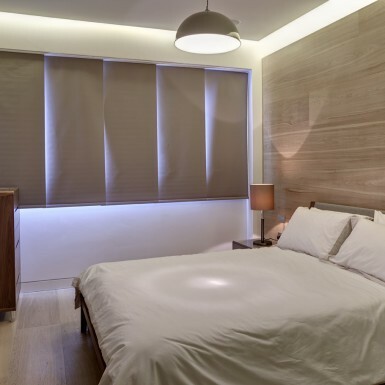 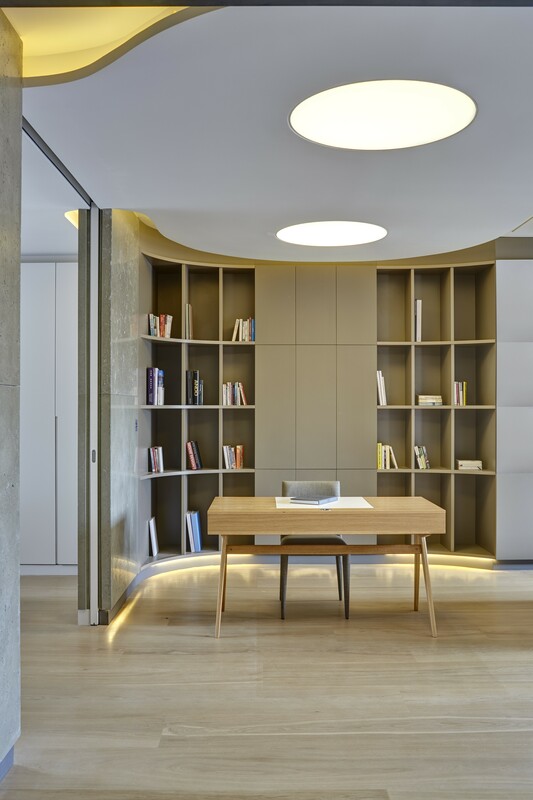 The lighting strategy was conceived as being integral to the flow of spaces and the materiality – with a linear skirting ambient light providing directional flow while ‘floating’ the concrete walls. 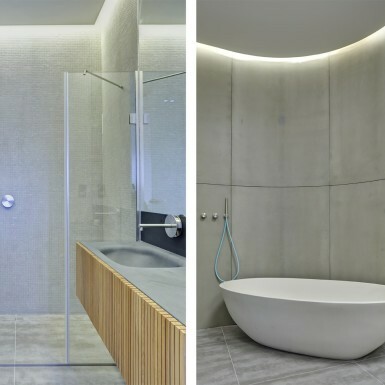 The concrete walls double up as the curved backdrop against which a white stone bath is set, with the sheer height and elegance of the concrete walls evoking a theatrical spatial experience.